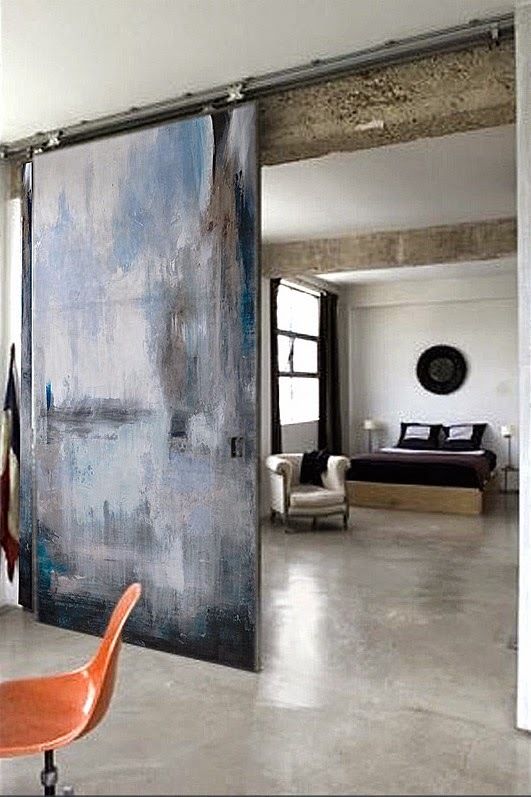 Well as I perused pinterest on my way to work a few days ago I discovered these really cool contemporary "art" doors. 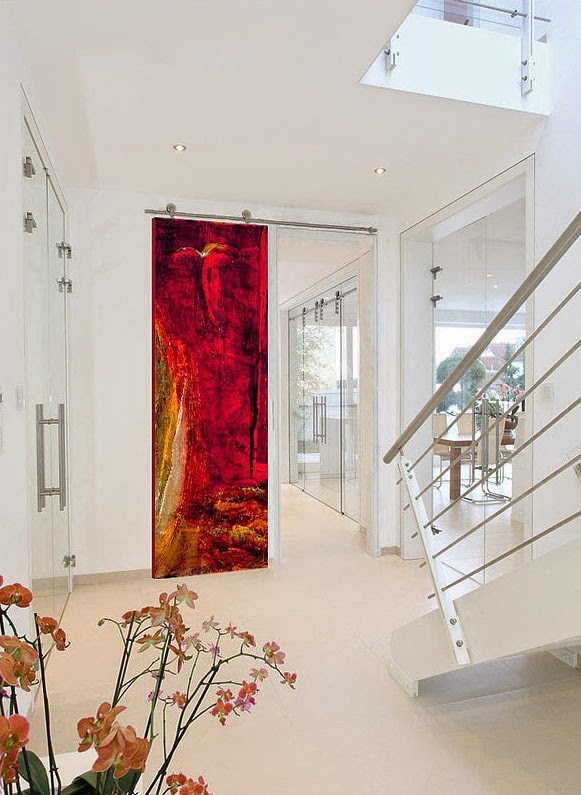 One of which stood out to me the most, it was Sargam Griffin, fine art, contemporary art door. 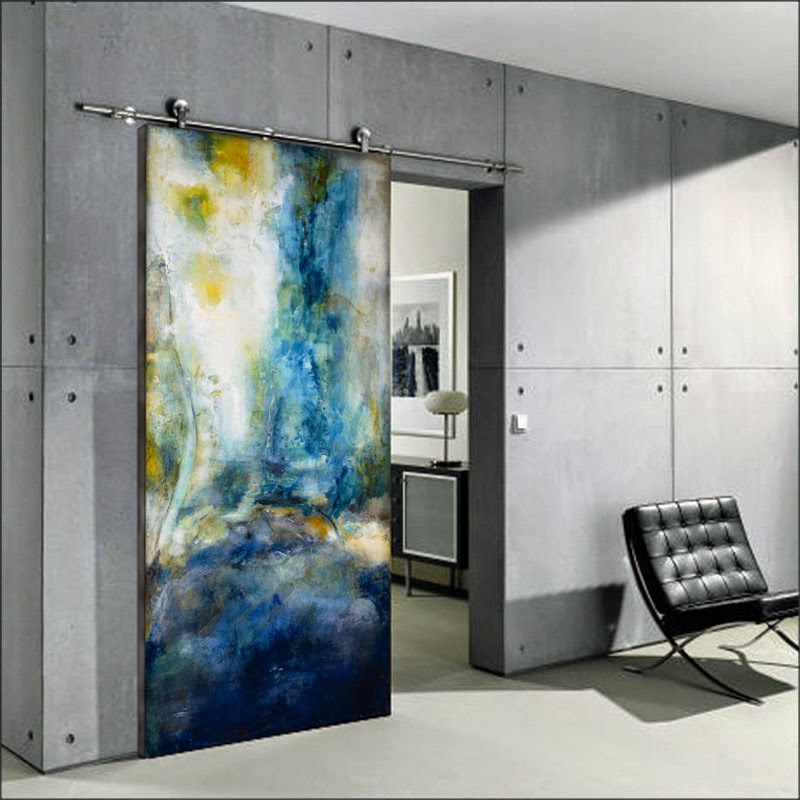 These doors are literally works of art Griffin produces individually with oil and can for an additional fee be finished with an epoxy resin. Imagine walking into your boyfriends house and seeing this beautiful piece of art used as a door. It really is jaw dropping in pictures and I can not even begin to grasp the real life affect. 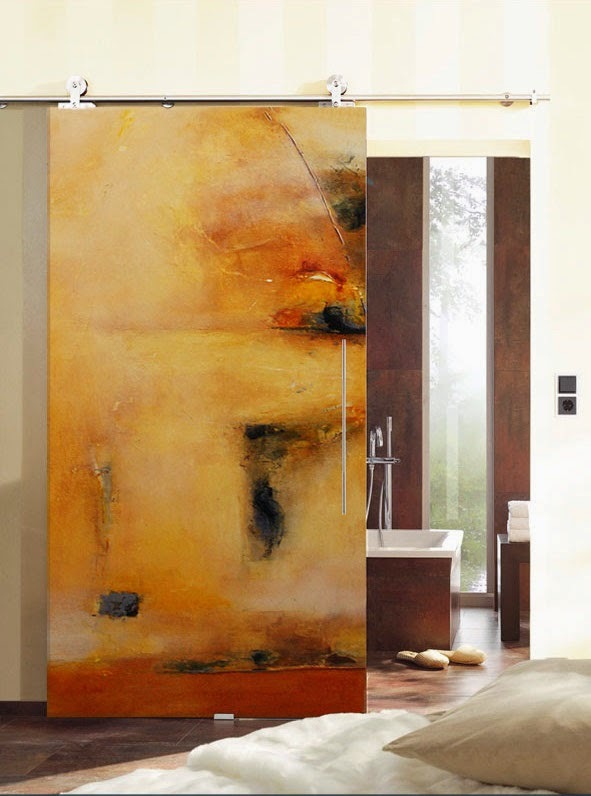 What I love most is these doors can be installed to be pivoted, hinged or sliding as the picture below shows! I Posted This One On My Instagram +EmaniMone !! While these doors come in many colors, textures and finished I only posted a few of my favorites! Interested in seeing more head over to Sargams website http://www.sargamgriffinartdoors.com/ ! Also comment which door would you choose? !